It's easy for one happy owner to understand why this twin-outboard walkaround stayed in production for twenty years. 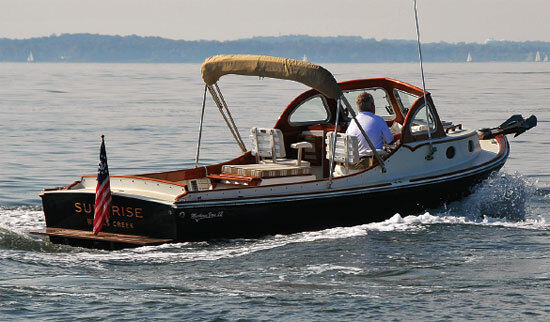 Joe Beige found himself spending less and less time on the water. Along with running and maintaining his 40-foot sportfishing boat, increasing job demands and a growing family were vying for the 42-year-old West Islip, N.Y., attorney’s time. 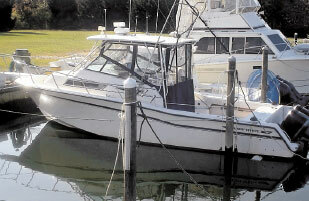 Joe Beige's 1990 280 Marlin has a big fishing cockpit and a cuddy cabin with a V-berth and head. 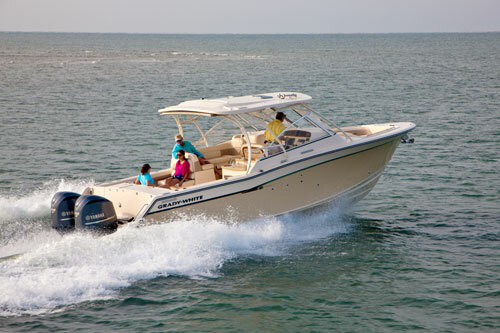 The cabin, with its V-berth, enclosed head and ample storage space, was another pleasant surprise. “One advantage of her layout is that my wife, daughter and I can overnight on her,” he says. Asked to recall his most memorable day on the water with the 280 Marlin, Beige is quick to reply —it was a day he spent watching someone else do the fishing. While competing in the Babylon (N.Y.) Tuna Club Invitational last season, Beige, working with the local American Legion Hall, took an active-duty Air Force reservist aboard. 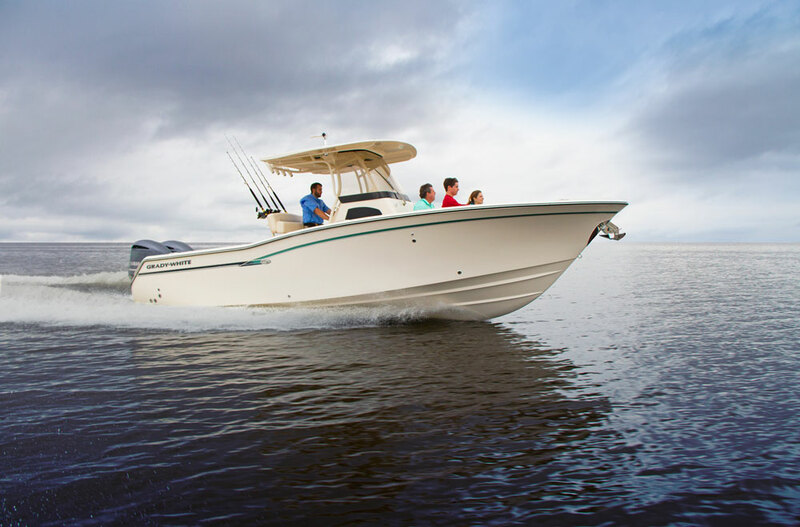 The popular model (20-year production run) combines the attributes of a no-nonsense fishing boat with the deep side decks of a walkaround and the creature comforts offered by its compact cabin. 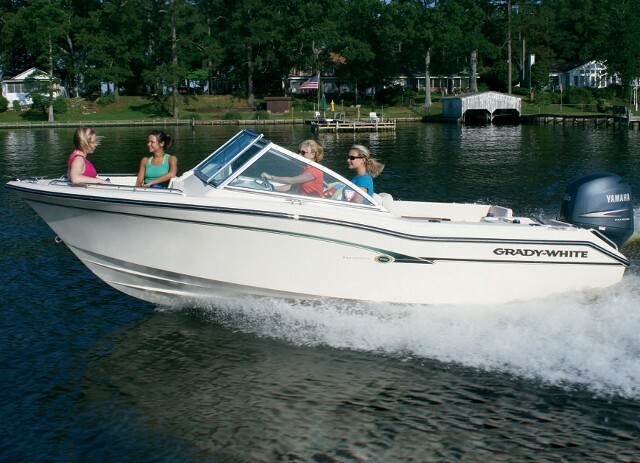 The fiberglass hull (with positive foam flotation) is a moderate deep-vee design with 19.5 degrees of transom deadrise. 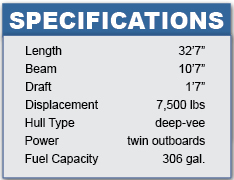 Integral fuel tankage supplies more than 300 gallons of gas for the twin outboards (225 to 250 hp each). 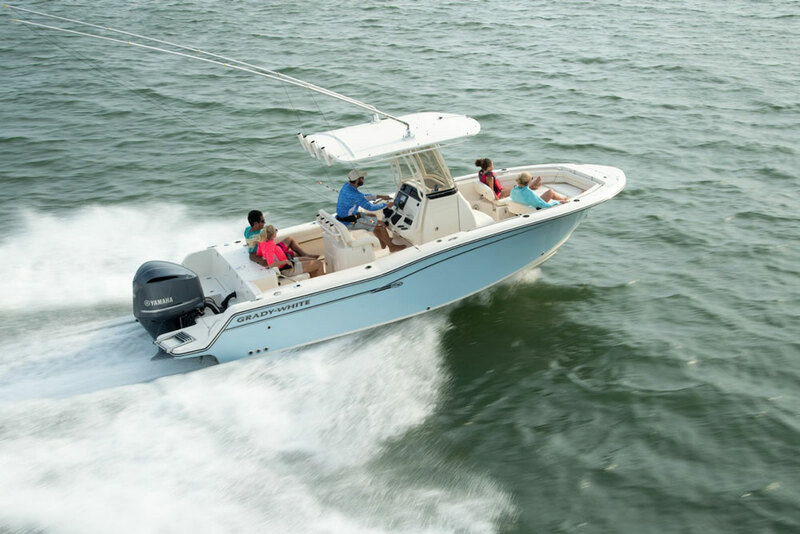 The original 280 Marlin cockpit takes full advantage of the 10-foot, 7-inch beam, creating a fishing space of more than 70 square feet — room enough for four anglers. 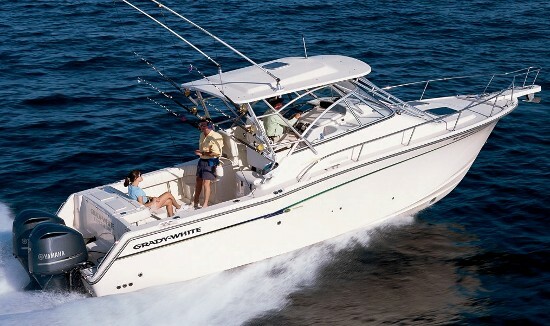 (An aft bench seat was added to the layout in 1995 when the boat became the 300 Marlin.) 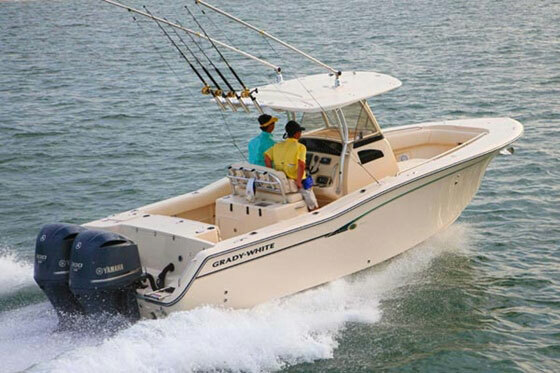 Fishing gear includes rocket launchers on the hard-top, gunwale rod holders, a transom live well, a fish-box forward, and (on the Marlin 300) a rigging station. The helm station is placed on the starboard side of the raised bridge deck to maximize sightlines, particularly aft. 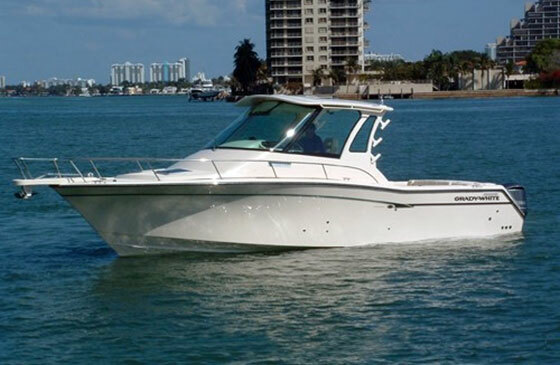 The cabin has a galley, V-berth, an enclosed head and a removable dinette table. Steve Knauth is a contributing writer for Soundings Magazine. This article originally appeared in the February 2010 issue.